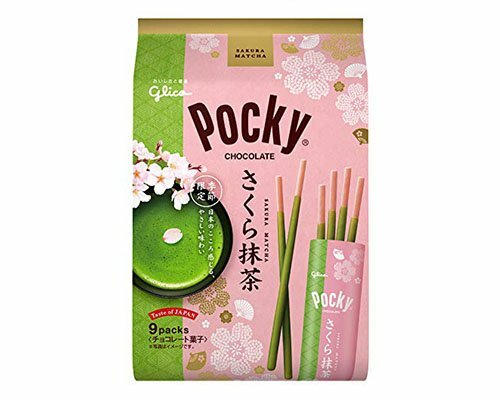 You probably think that pink and green don't go together very well, but the Glico Pocky Sakura Matcha will prove you wrong! 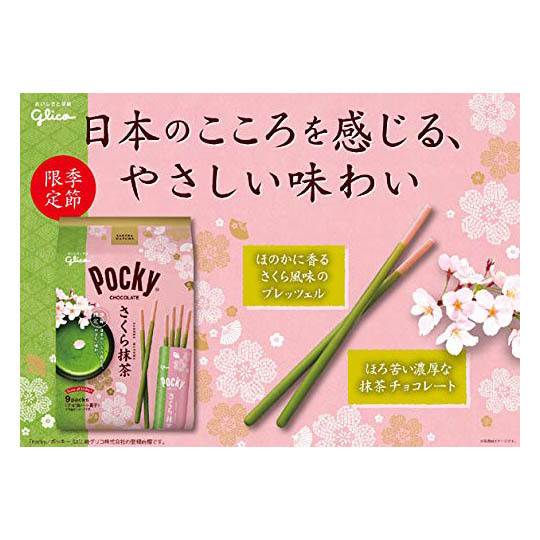 The baked pretzel-style stick comes with with cherry blossom (sakura) flavor, in pink color and with a subtle cherry smell. 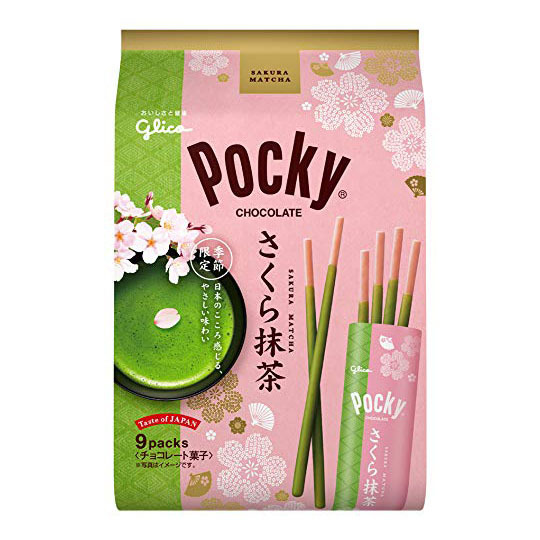 It is covered in green, matcha-flavored chocolate. 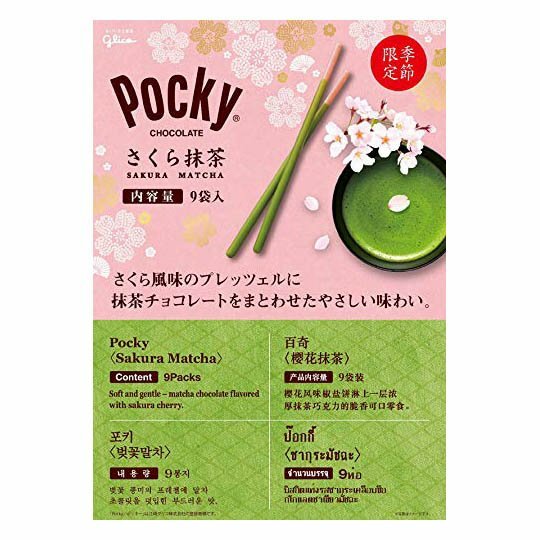 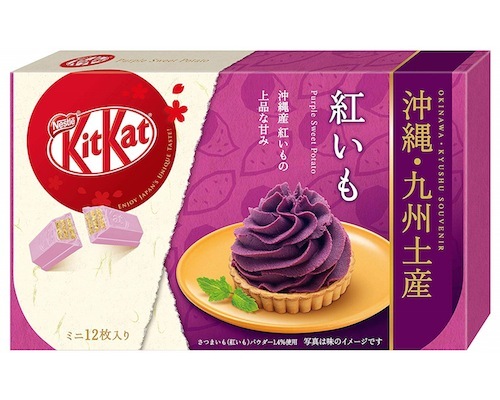 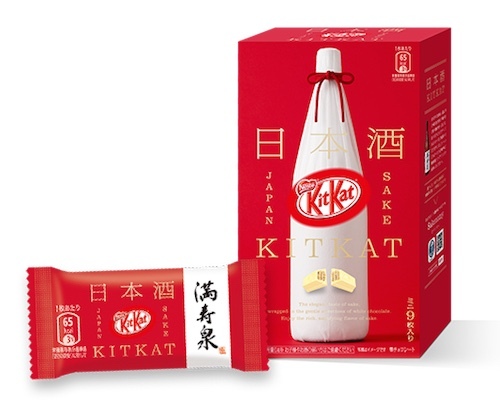 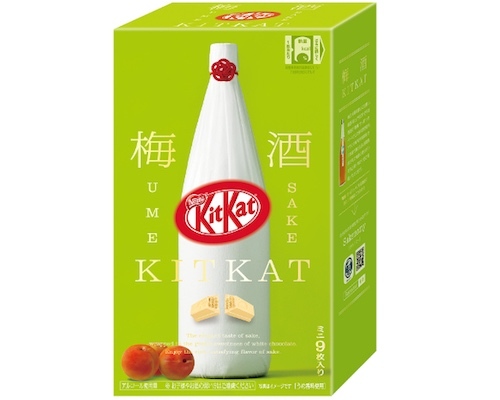 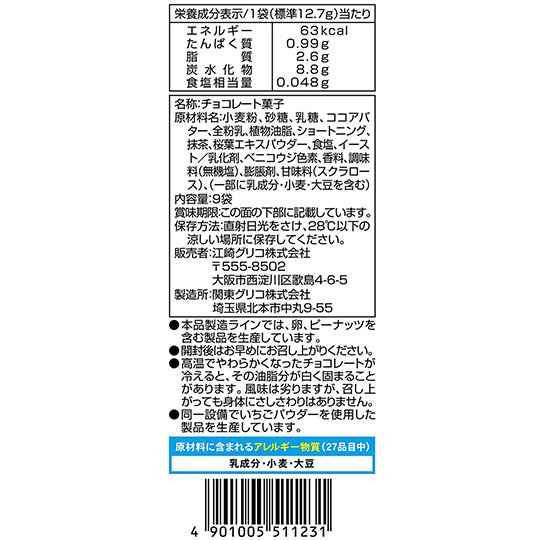 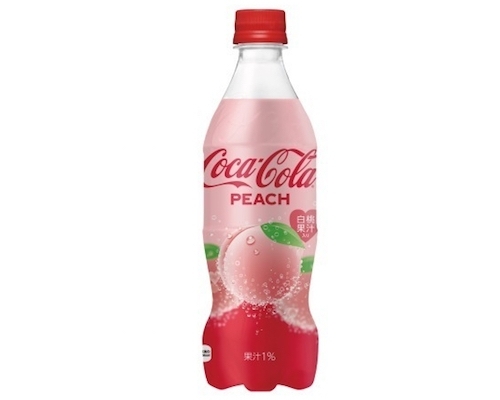 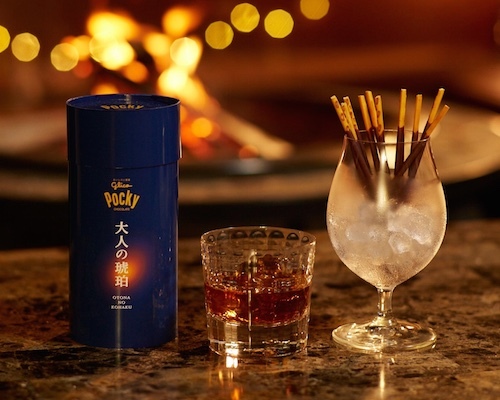 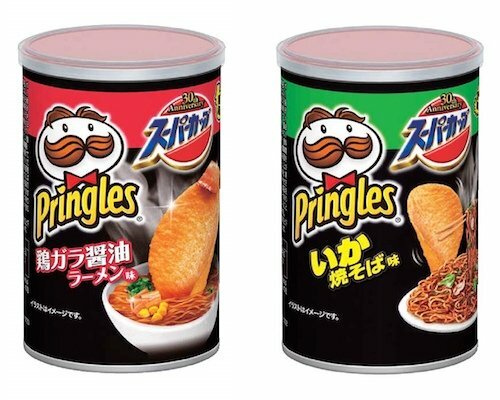 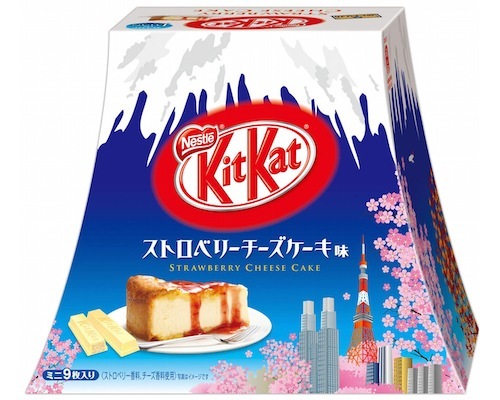 The mix of these very Japanese tastes create a perfect harmony when they fuse in your mouth. 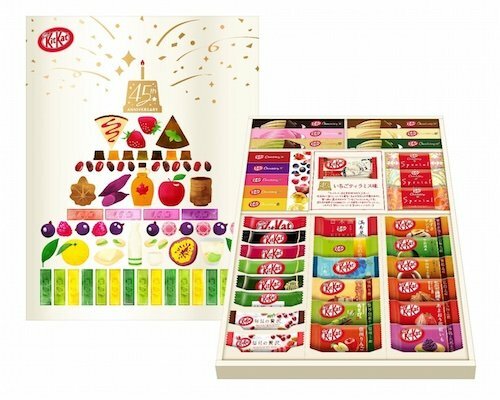 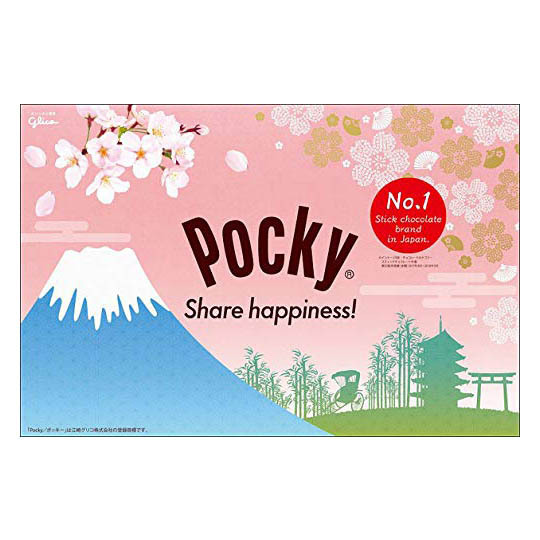 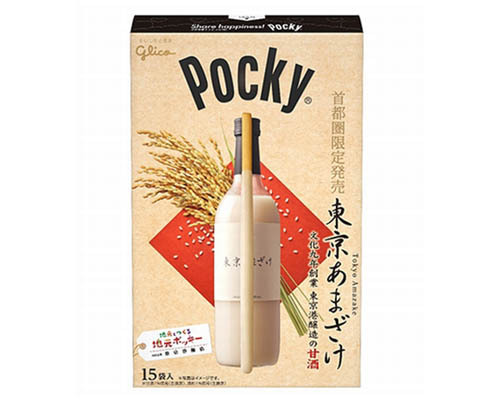 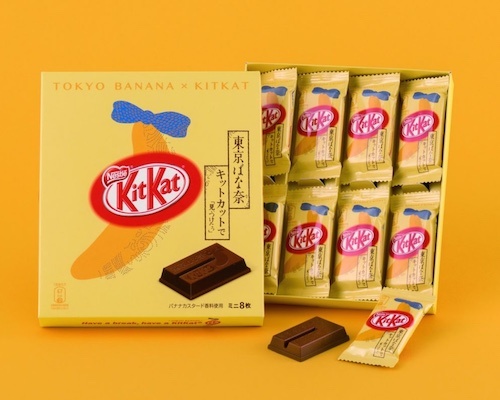 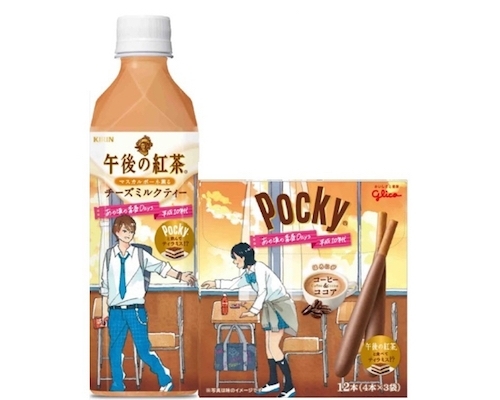 With each mini bag/packet filled with six Pocky sticks and nine bags for each of the four boxes, this is a great party item and easy to share with your friends, although you might end up loving them so much that you'll eat them all yourself!